The biennial WasteTech in Moscow, taking place in parallel with the CityPipe exhibition, is Russia’s most important trade fair for the waste and recycling industry. On the initiative of the professional association VDMA based in Frankfurt, WasteTech and CityPipe will see the official German participation on federal level for the seventh time in 2019. The Federal Ministry of Economics promotes the German participation. At the last WasteTech in 2017, 207 exhibitors from 18 countries took part and more than 5220 expert visitors were registered. Twenty-four participants came from Germany. The WasteTech comprises the following fields of exhibition: Waste & Recycling Technology, Air Pollution Control, Soil Remediation, Wastewater and Sludge Treatment, Municipal Technology and Street Cleaning Services. The parallel exhibition CityPipe is a trade exhibition for piping systems with the key topics: Fittings, Pumps, Pipe Processing, Pipes, Pipe Production, Piping and Pipe Connections. 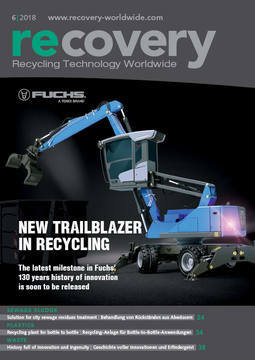 Russia is developing into an interesting market for the disposal and recycling industry. The country is forced to modernize its waste management. Currently, 85 to 90 % of the waste ends up in dumps. The municipalities are legally bound to establish a modern collection, sorting and recycling infrastructure and will thus invest in waste treatment equipment. Producers and importers are required to fulfill increasingly stringent quotas. The Russian Ministry of Industry and Trade estimates the annual investment needs to be about 20 billion €. Russia is sitting on a mountain of 100 billion tons of waste, with the number increasing by almost 6 billion tons each year. The federal program “Clean Country” provides the Russian regions with grants for the development of a controlled waste management system. The construction of five waste incineration plants is planned, with an investment volume of approx. 2 billion €. Moreover, 1500 waste sorting and processing stations worth altogether 40 billion € shall be put up nationwide. In addition, the Russian regions are planning the establishment of 70 eco-technoparks by 2030 within the context of their waste management concepts. Waste reception centers, sorting plants, dumps and plants for the processing and recovery of solid household wastes shall be built to make companies for waste processing and disposal settle there as well (Source: gtai). In view of the enormous investment needs in waste treatment, the Russian market provides huge sales potential for German companies. 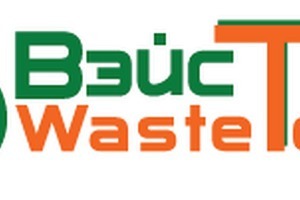 The WasteTech, as an important platform for the Russian environmental economy, will take place from 4 – 6 June 2019 the Crocus Exhibition Center. The trade fair enables the participants to meet highly qualified visitors from industry, municipalities and public authorities.